Sleep better - use the anti-snore position to reduce snoring (for you or the person next to you). Improve blood flow, reduce back pain, and feel almost weightless in zero gravity. Don't worry about stumbling around in the dark when you use the gentle illumination of our under-bed LED light. Designed to give your neck extra support without stuffing extra pillows behind your head. 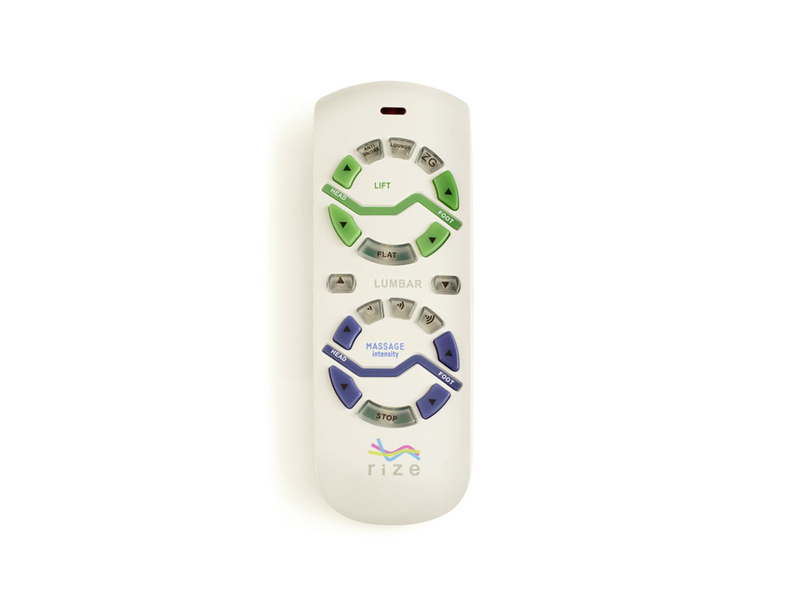 Go back to your favorite position with the touch of a button - anti-snore, lounge, or zero gravity. Find total relaxation with head and foot massage motors. Choose how you want it by setting the location and intensity. Don't be afraid to get close - two heavy-duty motors lift up to 850 lb. per base. Press one button to return to a flat, neutral position. Backlit buttons make it easy to use your remote, even in the dark. 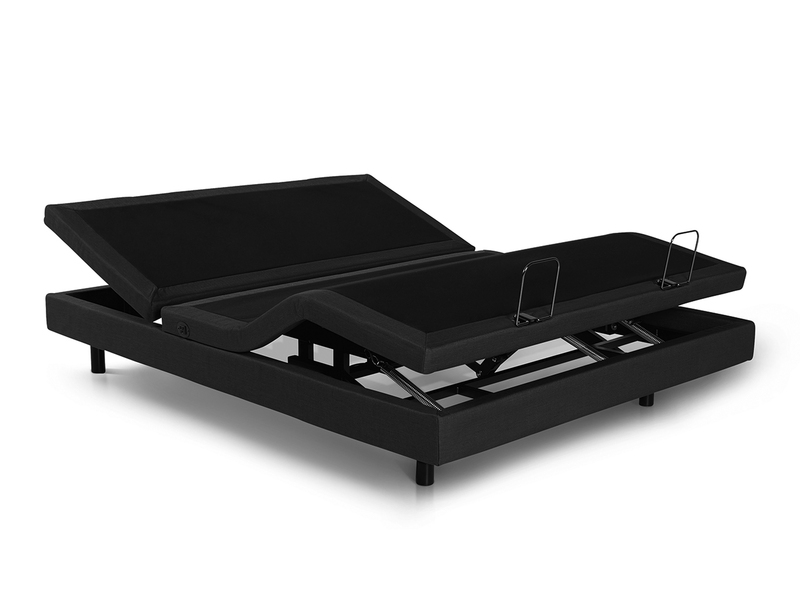 Rize beds are designed to fit inside most existing headboard/footboard/rail systems. Set the bed to go through a series of positions automatically. 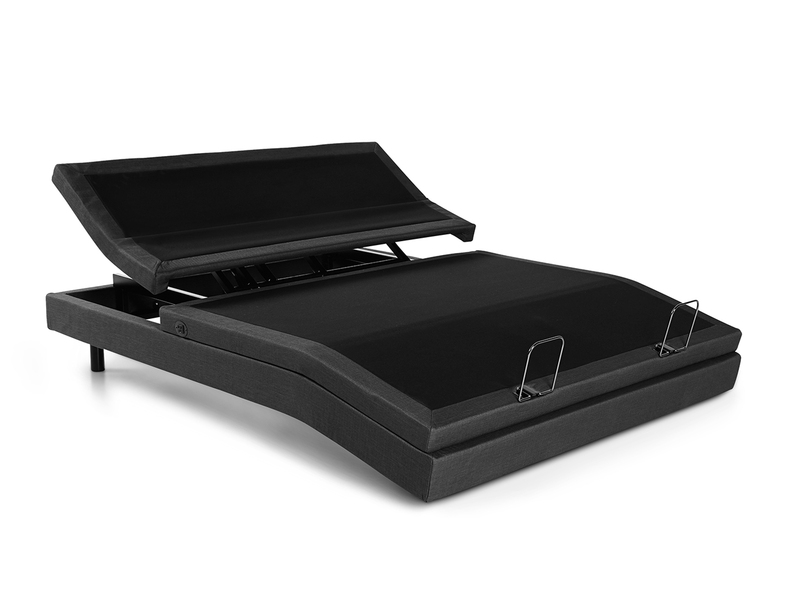 For extra durability, we use steel post legs that can support even the thickest mattress. Rize motors also have a built in safety feature to reduce stress on objects caught under the bed, so there's no worry about pinching or pressing. Even during a complete power outage, the replaceable fuse of the battery backup system allows you to return your bed to a flat, sleeping position. To keep both you and your bed from wearing out, the massage motors will shut off after 15 minutes. Just give them a five minute rest and they'll be good to go. Included headboard brackets make it easy to attach your favorite headboard to your adjustable bed. Keep your mattress in place with polished steel corner brackets.